You’ll only get married once in your lifetime and not only the great day, but also your honeymoon should be something remembered forever. One of the best ways to celebrate your very special bond to your partner is a joyful trip to one of the beautiful places to be found on mother earth. Los Roques is a group of peerless islands in the stunning Caribbean Sea to be explored and enjoyed. It offers you endless possibilities to savor your honeymoon and enjoy different activities. The Caribbean islands and beaches belong to the top honeymoon destinations worldwide and there are reasons for that. First of all it is the beauty of nature you can find here. There are not only kilometers of white sandy beaches, but also so many different colorful animal sea species hard to find anywhere else. But on Los Roques you cannot only find nice looking animals within the sea, but also land-space species, like crabs, turtles and birds. But not only the spirit of the Caribbean nature will capture your heart; the people living here, the sun and the beautiful cozy Los Roques Posadas are additional reasons for choosing Los Roques as honeymoon destination. The hosts of your stay will be keen to assist you with all your surprises and they also will ensure your full comfort throughout the whole stay. Another, not less important reason for choosing Los Roques is the cuisine served within this piece of paradise. You can enjoy all the fresh fish and seafood typical for the Caribbean way of life. You can of course also chose from a variety of other high class epicurean dishes from international cuisines. As typical for the warm climate the nature of the Caribbean also offers a lot of sweet and tasty fruits. Additionally to the beautiful small hotels found on the islands of Los Roques, you can also charter a sailing boat for your very personal honeymoon experience. The captain and its crew will bring your anywhere in the gorgeous natural reserve of Los Roques, giving you insights in this magnificent paradise on earth. 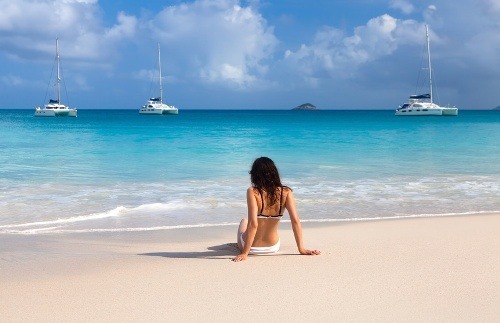 During daytime, you can also go to one of the countless sandbanks within the azure blue Caribbean Sea. Los Roques is all-in-all one of the top-notch honeymoon destinations to choose!